Great news! You don't have to suffer. Ever! This is what the Buddha taught 2,500 years ago, and it is as true and relevant today as it was in India 2,500 years ago. 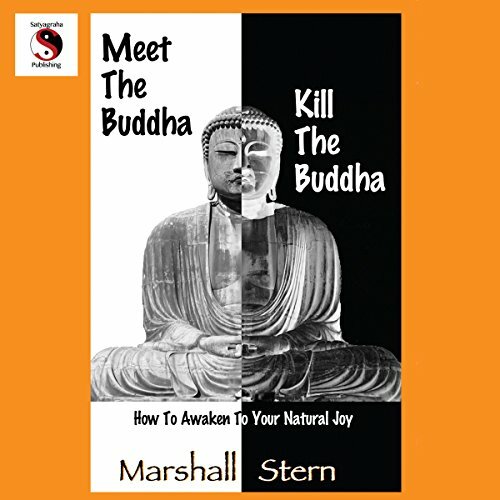 In very plain and clear language, Marshall Stern takes you on a journey through the basics of Buddhism and most importantly, shows you why it is so important for you today. It's all about the end of suffering. That's it. If you are a human being and you ever experience life as being less than amazing and joyous and wonderful, this audiobook is for you. If you have ever wanted to know more about Buddhism and the Buddha but find books about eastern religion confusing and stuffy, this book is for you. If you long for a path that leads you not to dependence upon another religion or master or anything, but leads you right back to your own best self, this book is for you. In other words, if you are a human being who experiences what all other human beings experience and is looking for something more, this book is for you. This book will open your eyes and change your life. Excellent way of life . Excellent, informative, insightful, practical. Best book in zen buddhism. Perfect treatment for those who are suffering and want to live with equanimity and joy. Will recommend it to my old friend who is in pain. There are so many books on Buddhism with a New Age slant it's almost sickening. But this one is a refreshing break from the norm. An excellent guide to Buddhist thought, philosophy and practices anyone can follow. Even those who have been on the path for many years an learn much from this fresh, modern-friendly and practical book.